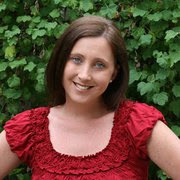 Shelby Barone is the founder of the original OC Mom Blog and also a popular freelance writer in Orange County. She is a Mother to three young children. She also owns her own small business selling educational aids. When she is not making felt stories, writing or working with brands she is spending her time volunteering within her community. Shelby has been a family nutrition columnist with The Orange County Register Newspaper where she writes about health, nutrition and her son's severe food allergies. Shelby has been a freelance writer for 17 publications in Orange County. Once the OC Mom Blog began to take off in the community of Moms in Orange County, she has devoted her time to making it the #1 resource site for moms and families in Orange County. Shelby also enjoy writing about many of her passions. She loves working closely with brands to help promote and give valuable feedback. She has created some great partnership with many large brands. This blog has become a popular resource for many locals within Orange County. She writes about Disney, her favorite products, food allergies, cooking, recipes, fashion, travel, family life and local events.